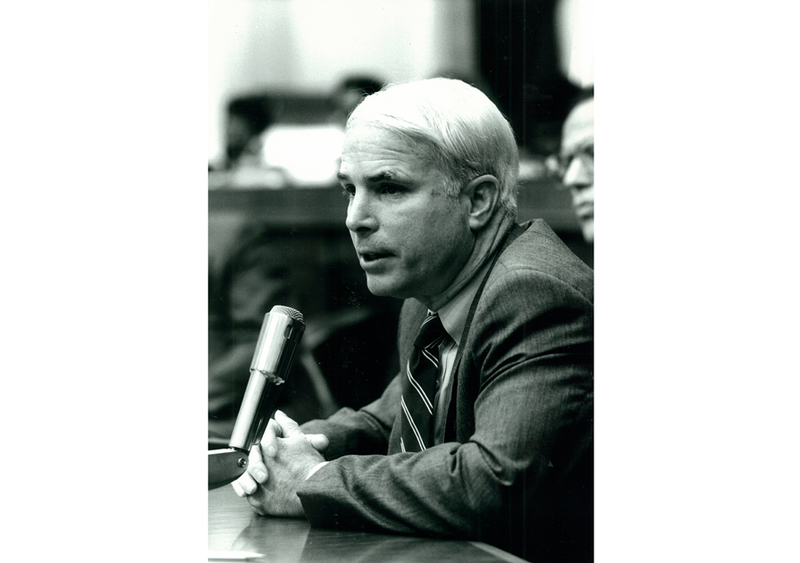 The Board of Directors and staff of the National Endowment for Democracy were deeply saddened to learn of the death of Senator John McCain, who, among his many great contributions to American public life, served as Chairman of the NED’s close partner, the International Republican Institute (IRI) from 1993-2018. The entire NED family extends its sincere condolences and deepest sympathy to the McCain family, staff, and to our colleagues at IRI. 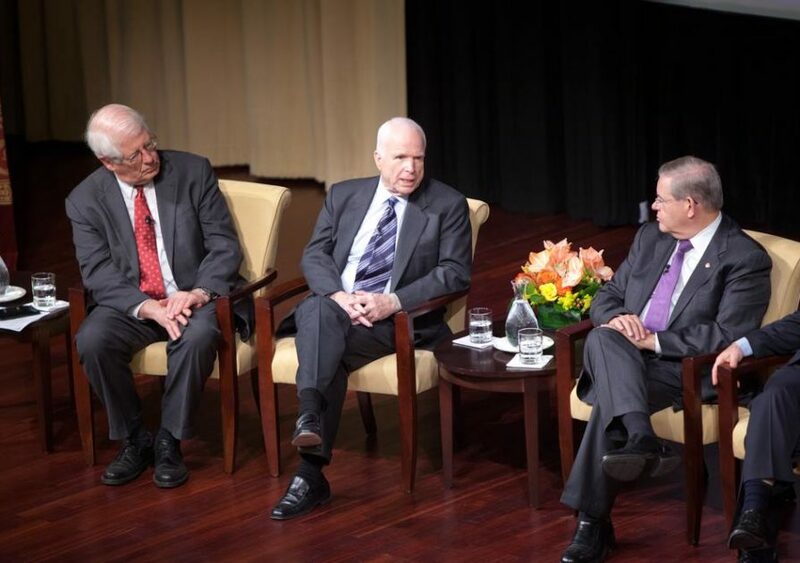 Senator John McCain spoke about the National Endowment for Democracy and President Reagan's legacy during our 30-year-anniversary celebration at the National Archives on November 13, 2013. On September 14, 2017, we hosted a screening of Nemtsov, a documentary film about Boris Nemtsov, the late leader of the Russian opposition directed by Vladimir Kara-Murza. 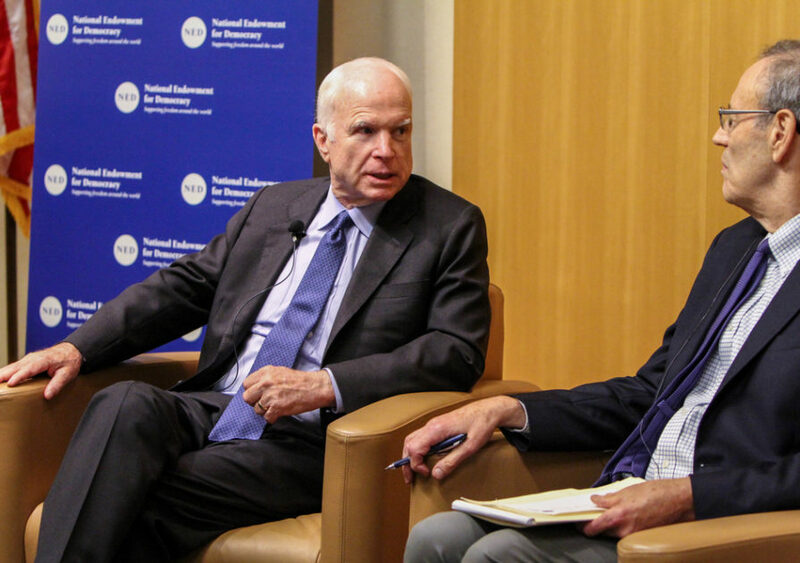 Senator John McCain joined Vladimir Kara Murza and Carl Gershman for a discussion after the screening. 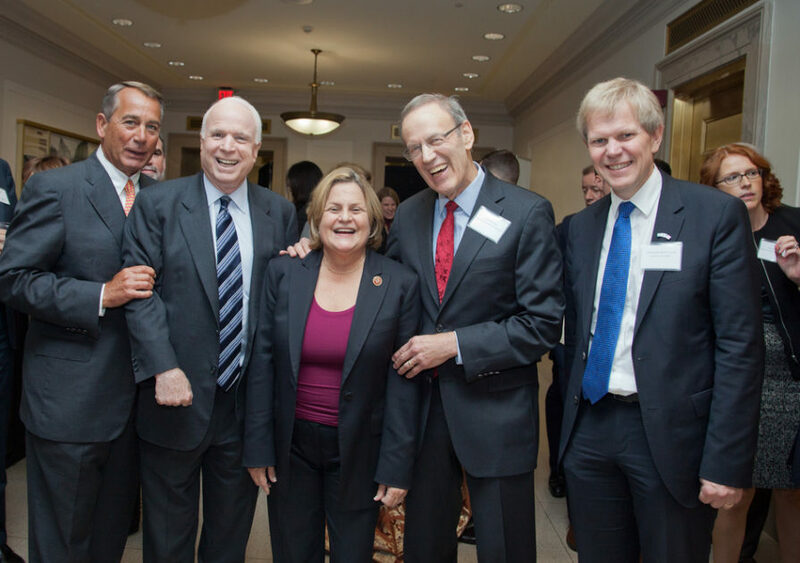 This half-day conference on June 10, 2010 featured Senators Ted Kaufman and John McCain, as well as panel presentations on Lessons from Other Transitions to Democracy and The Road Ahead – Strategic Challenges for the Democratic Movement in Iran. On June 4, 2013, the National Endowment for Democracy honored Burmese activist Min Ko Naing with its 2012 Democracy Award at an event in the U.S. Capitol. Senator John McCain, House Democratic Leader Nancy Pelosi, and U.S. Representative Joe Crowley also spoke at the event underscoring the U.S. Congress’ longtime support for the democracy movement and political prisoners in Burma.